There is nothing like Christmas in Lamar Valley, Yellowstone National Park. To be surrounded by howling wolves, to watch bison snow plow their heads into white powder next to my cabin, to walk scrunchy snow paths on a dark night with constellations sparkling in the black night sky above… This is my paradise. 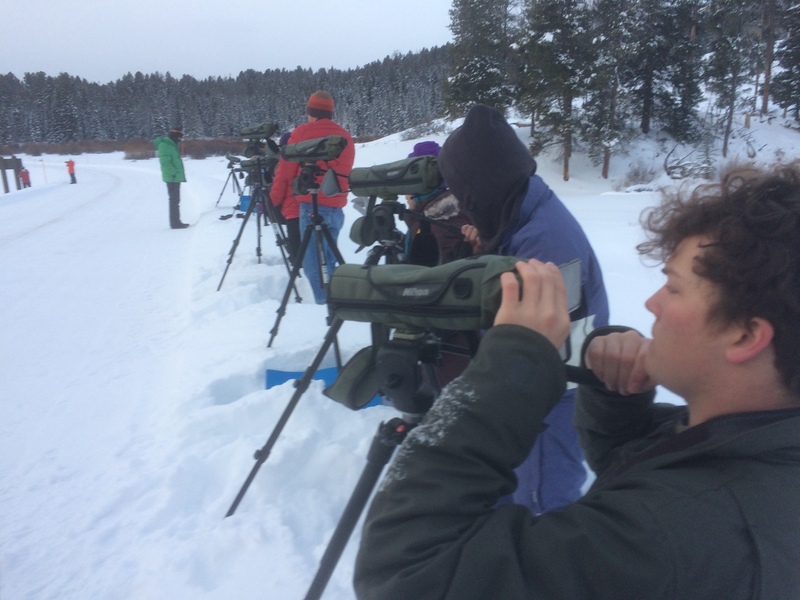 Fourteen participants came to ‘Christmas in Lamar’, the Yellowstone Forever program that I was fortunate enough to lead for four days. Mornings were spent rising early and driving out at first light to find whatever wildlife would grace us with their presence. 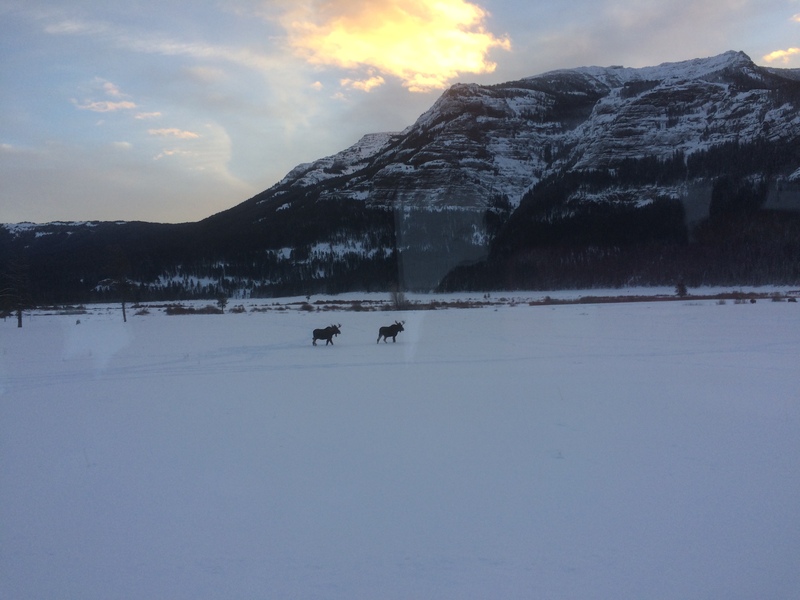 We were lucky enough to see wolves each day. Three packs: the Prospect Peak, the Junction Butte and the Lamar Canyon Packs were visible at various times some for close-up views and some for long enough to be able to observe wolf interaction and behavior. We watched moose, bighorn sheep, bison, elk, coyote, magpie, bald eagle, raven, Wilson’s Snipe, Common Goldeneye… Lamar Valley is known as the ‘Little Serengeti’ of America, and we were not disappointed. Winter has been good to us this year: with plenty of snow and some frigid temperatures, we were able to break trail on snowshoe and cross the Lamar River to visit off-the-beaten-path Fairies’ Fall, a 30 foot frozen waterfall in a lovely little alcove of volcanic rock. 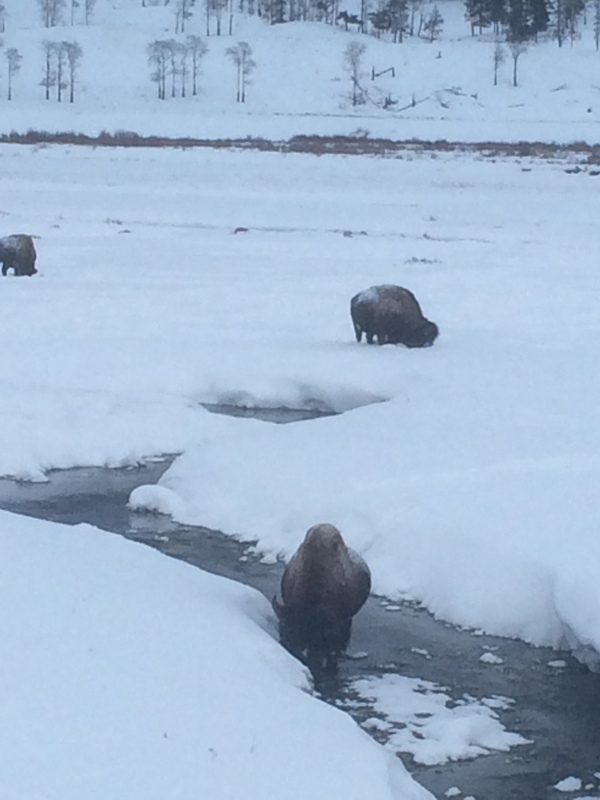 While snowshoeing to the confluence of Lamar and Yellowstone Rivers, bald eagles flew overhead and an elk grazed across the river. 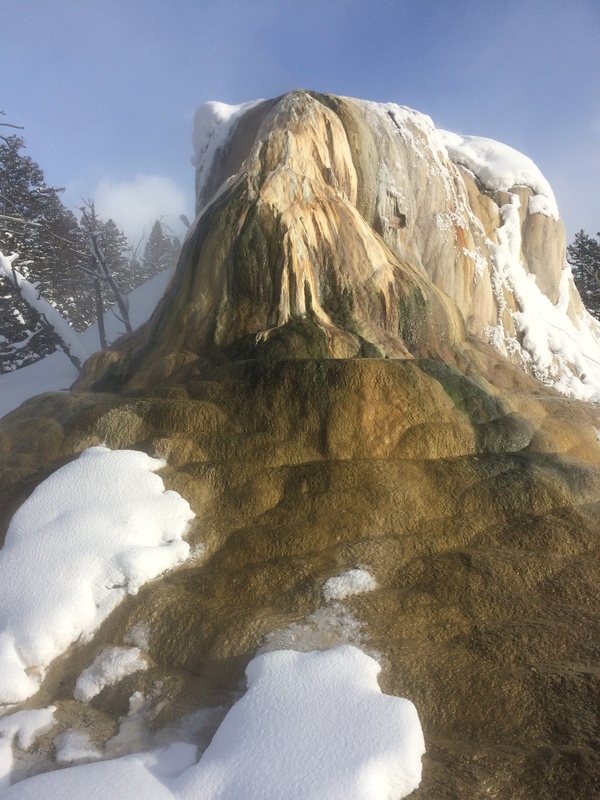 Our snowshoe around Mammoth Terraces provided close-up views of thermal features with beautiful orange, yellow and green micro-organism mats in the flowing hot water. Fresh snow pillowed Douglas Fir and Rocky Mountain Juniper. 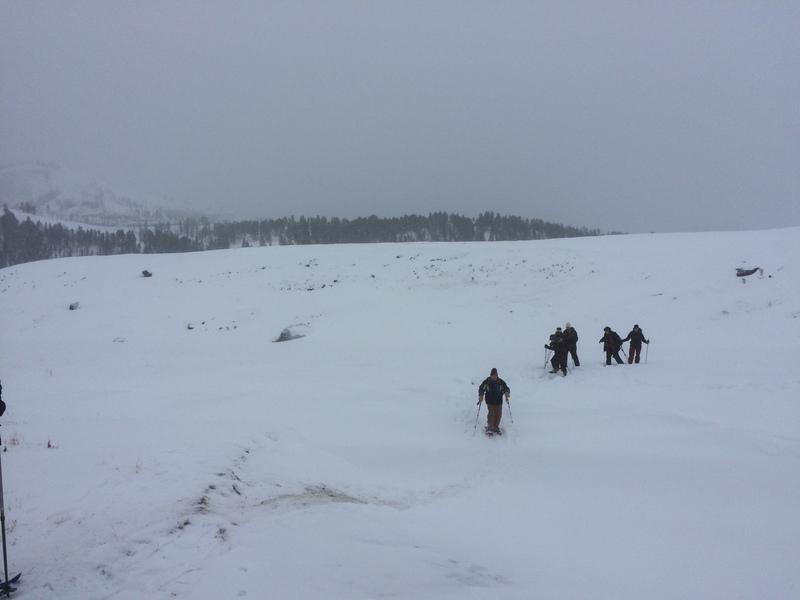 Rabbit and coyote tracks cut through snow, punctuated by elk and bison postholes… Games, laughter and music by the Christmas tree warmed the bunkhouse. But when I stepped outside into the dark to return to my cabin, the surrounding silence wrapped me in its blanket of calm. It is the rare place these days that one can find night skies dark enough to see the Milky Way, where one can stand in such silence that one’s own pulsing blood can be heard internally, where grizzly bears can hibernate away the winter months, where wolves can be wolves and do what wolves do, where humans can observe and learn from the natural world, where moose and elk and bison rule the valleys. As 2016 winds down, I pray that 2017 brings continued protection for our bison and wolves and bears. I pray that our public wild lands remain wild and public; that more people of more colors and ages and beliefs and diversity experience inspiration in our wild lands and work to act in protecting these natural places. The Lamar Valley is perhaps my favorite place on earth. Thank you for this wonderful essay. Thank you, Karen. Lamar Valley is indeed a most special place. I am glad it is your favorite place on earth, as it is mine 🙂 May 2017 see you back in Lamar Valley, enjoying wildlife and beauty. Beautiful! Your “Happy Place”, I know. Yes, my happy place! Love to you this new year season. Looking forward to adventures with you in 2017… on public lands! Great thoughts Julianne. Thanks for spending your Christmas helping make memories and changing lives at Lamar. Magical indeed, thanks to you and your heart for educating others, helping them to love the wild, and fanning the flame in them to care deeply and protect these precious places. Thanks and best in adventures and life for you you and Fred in 2017. Thank you, Ken. Wishing you and Jennifer and yours the happiest of New Years. May 2017 bring happiness, joy, and continued protection of our public lands. Well, dash it all, Ken! Now, all I can say is, “Ditto!” or “What he said! !” Truly, Julianne…thank you. The TTW quotes are perfect, too. We’re having a gully-washer here right now, on this first day of the new year. May it wash away the dregs of 2016 and drench us with hope and commitment to ourselves, all species of life, and to our public lands. That is ok, Neysa… ditto is fine :)… Glad you appreciated the TTW quotes… from her new book… Was excited to be able to share it for the first time. I hope your gully washer, and our seriously cold weather to come this week wash away and freeze away all negativity, leaving us with hope, peace and joy… and public lands! Gosh Julianne that really sums it up for me. What a wonderful experience to be at Lamar at Christmas. It was made special because of you and Nancy’s knowledge and respect for the environment. The other participants were great too! Happy new year to all. Thanks, Ray.So glad we could share Christmas together in Lamar. 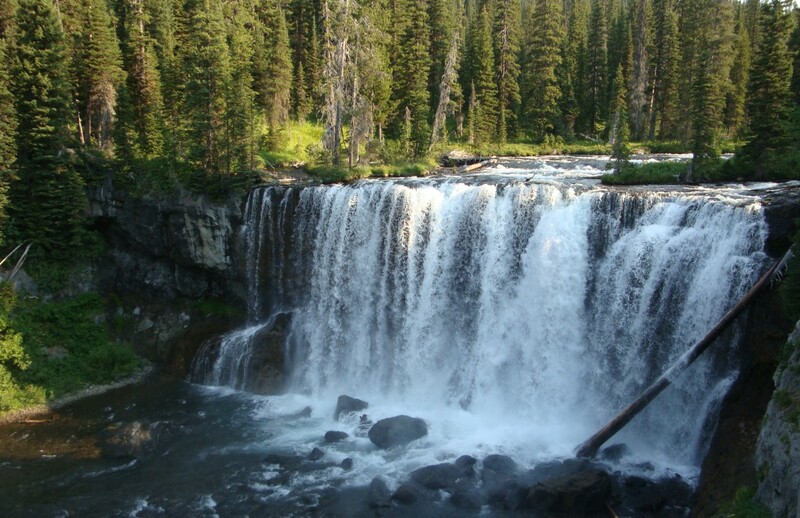 I hope to see you soon, either on a hike or back in Yellowstone. Julianne, the memories you gave us all will last a lifetime. I loved reading this – it perfectly captures the essence of our Christmas spent in the Lamar Valley. Thank you for sharing your quotes, history and geology lessons, and your passion for this remarkable wild place. You are most welcome, Dianne… and thank you for your enthusiasm and energy. I loved watching your face light up at everything we did and saw. I’m glad to have met you–your students are fortunate to have you as their teacher. I hope you are able to share some of your Yellowstone odyssey with them. May 2017 bring you and your students joy and success!! Loved this post Julianne. I would love to spend some time in Yellowstone in the winter again. Hopefully we can get there again this summer instead. Beautiful photos! Glad you enjoyed it, LuAnn. I hope you do indeed get back to Wonderland soon.. As you know, any season is perfect here. Envious 🙂 But envy is softened by shared love of place. I miss your home but you capture it so beautifully. What a treasure to have passed Christmas in Lamar. Thanks for this piece!!!! !